It hit the roof. Not that it was not expected. The fight for the chief ministership of Karnataka took an ugly turn and the Supreme Court had to open its gates post-midnight. Eventually the apex court refused to stay the process of Bharatiya Janata Party (BJP) state chief BS Yeddyurappa's oath-taking as chief minister, scheduled for 9 AM Thursday morning. Significantly, during the course of the past-midnight hearing of Congress leader Abhishek Manu Singhvi's petition, the defence put it before the court that no anti-defection law would be applicable onto any member of the legislative assembly (MLA) before they are sworn-in. This would potentially make things easier for Yeddyurappa to fill up the seven-seat gap between him and chief ministership. The Shikaripura strongman was invited to form the government on Wednesday night by Karnataka Governor Vajubhai Vala, an old confidant of Prime Minister Narendra Modi. After keeping the state on tenterhooks throughout the day and meeting both the BJP and the Congress-Janata Dal (Secular) combine and issued the invite only aroun 9 PM, leaving only about 12 hours for the swearing-in. Contrary to this haste, he granted the CM-designate 15 days to prove that he enjoys support of the majority of MLAs. Expectedly, this made the Congress-JD(S) alliance see red. But instead of taking another punch on its face after Goa, Manipur and Meghalaya, the Grand Old Party this time decided to give it back. Petitioning the Supreme Court against Vala's decision, Singhvi pleaded that the case be heard in the intervening night itself and a stay be granted. The apex court decided to do just that and a three-judge Bench took the case up right away. The Bench constituted by Chief Justice Dipak Misra comprised Justices AK Sikri, A Bobde and Ashok Bhushan. Singhvi argued that the court would not be approachable once a CM was sworn in. He pointed out the respective strengths of the bickering sides: 104 for the BJP and 116 for the Congress-JD(S) combine, according to media reports. Singhvi argued that giving 15 days to Yeddyrappa to prove that he enjoyed the confidence of the majority of members would encourage the "constitutional sin of poaching". The Bench pointed out that the BJP had the most number of members and the Congress-JD(S) alliance was a post-polls arrangement. The government was being represented by Additional Solicitor Journal Tushar Mehta. On the BJP's behalf former attorney general Mukul Rohatgi was present. Before entering the courtroom he told reporters that the court could not intervene in the matter. Whether or not the BJP had the numbers could be proven only on the floors of the House. Current Attorney General KK Venugopal also reportedly arrived at the court. In his arguement, Singhvi cited the example of Goa where the BJP was invited to, and it did, form the government despite the Congress being the single-largest party. Citing past examples, he argued there was no reason to deviate at the present. 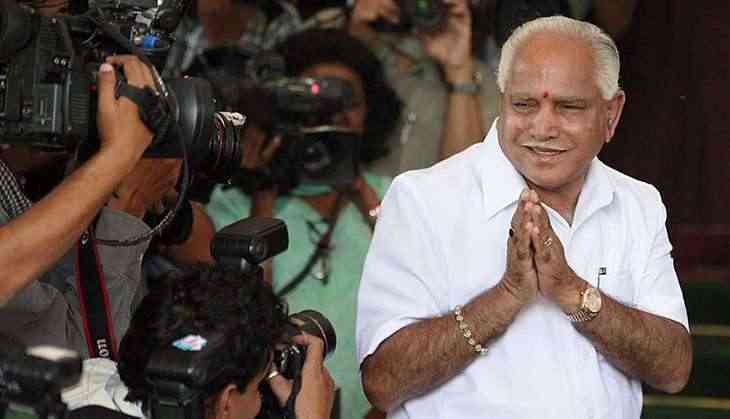 The court considered the point whether it should restrain the governor, something if it wishes to do would have to be done before Yeddyurappa takes his oath at 9 AM. When the court wondered whether there would be an administrative vaccum, Singhvi pointed out that a caretaker government was already in place. The Congress leader argued that the governor's special privileges were also open to judicial scrutiny. In the past, the only time that the apex court opened its gate for hearing past midnight was before the execution of the capital punishment of Yakub Memon in the Mumbai bombing case. After Singhvi concluded his argument, Rohatgi started his. He argued that the hearing of the petition in the wee hours was "totally wrong". Saying the case was was based on speculations, he maintained the line that the court did not have jurisdiction over the matter. The court interestingly raised the issue of swearing-in the members of the House before the CM, which the government opposed citing precedents. The defence presented before the court that any anti-defection law would not apply before members were sworn-in. This means that they would be free to support any candidate of their choice for chief ministership. The Supreme Court said it was worried about the situation and asked why the governor gave Yeddyurappa 15 days to prove his majority. Though the Bench refused to stay the swearing-in, it also did not dismiss Singhvi's petition, saying it was "subject of hearing later on". It issued notices to respondents, including Yeddyurappa. Despite the court refusing to stay the proceedings, Singhvi kept arguing that the swearing-in be at least postponed to Thursday evening so that relevant documents could be examined.